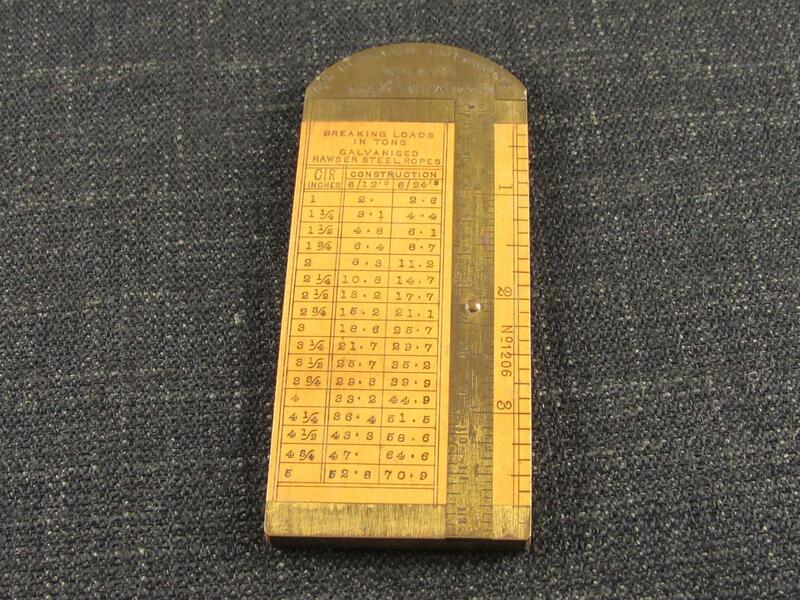 A lovely boxwood and brass rope gauge by John Rabone & Sons of Birmingham. This example appears to be unused and retains the vast majority of its original finish to the boxwood and brass. 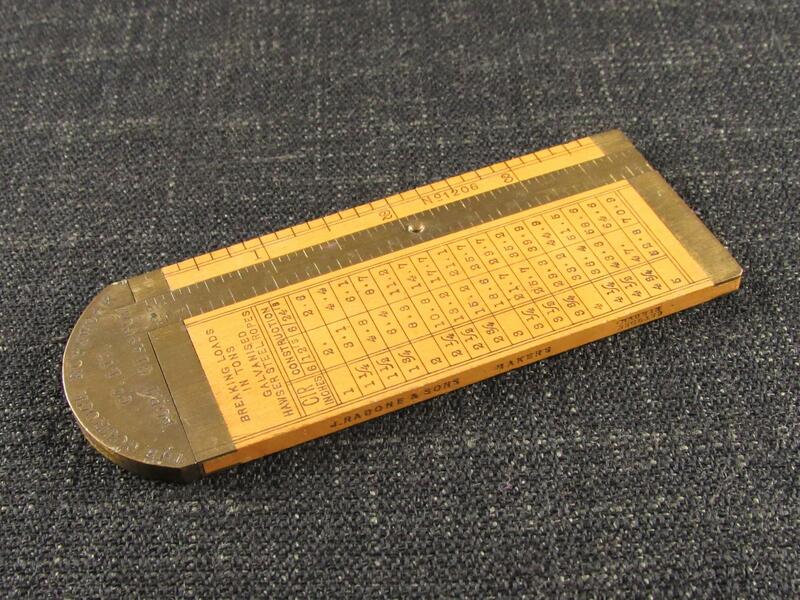 The No.1206 gauge is the smaller 4 inch version, Rabone also produced a 6 inch No.1207. 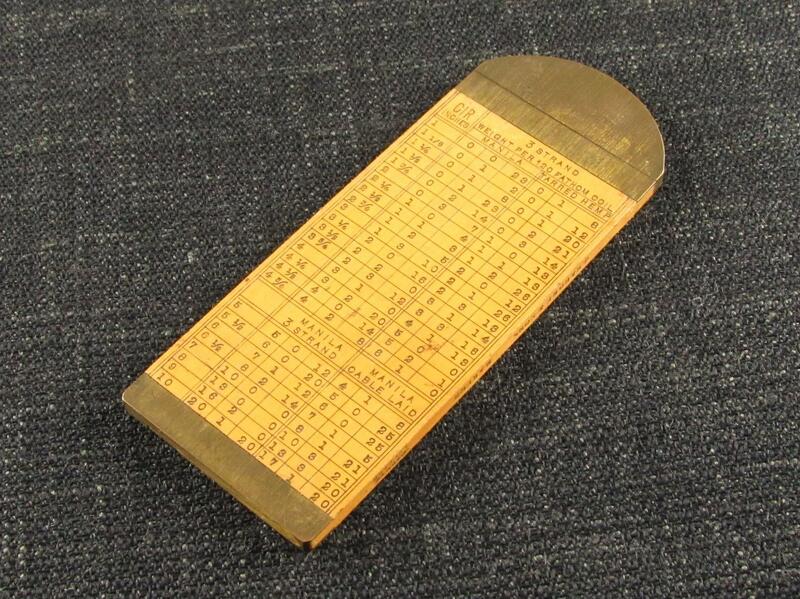 These gauges were produced to assist the measurement and sale of rope which was typically sold by weight. Both sides have various tables including manila and galvanised hawser steel. 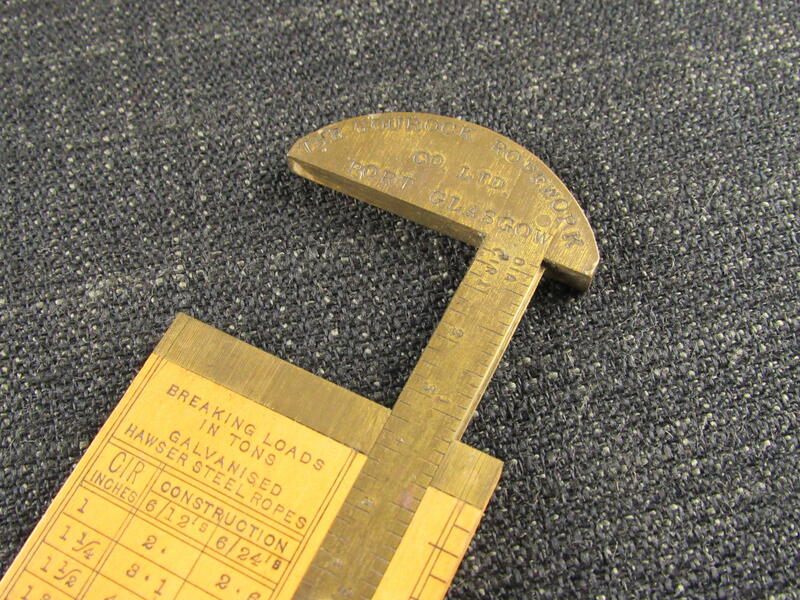 This particular gauge is also marked 'THE GOUROCK ROPEWORK CO. LTD PORT GLASGOW' on the brass caliper head. This company began in 1777 and supplied both the Clyde and worldwide shipyards with rope and sails, finally closing its operation in the 1970s. One of the best we have seen.